Defining the Toronto skyline, the CN Tower is Canada’s most recognizable and celebrated icon. At a height of 553.33m, it was, for many years, the World’s Tallest Building, an important telecommunications hub, and the centre of tourism in Toronto. 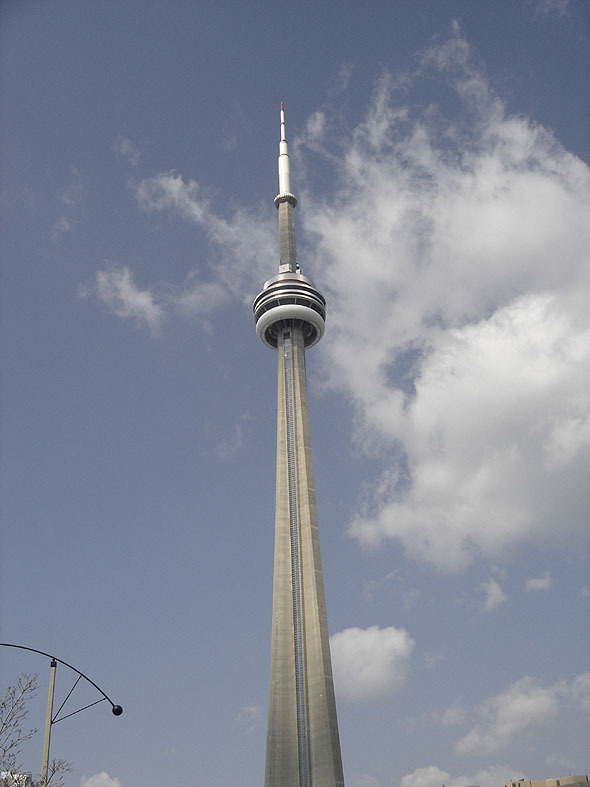 Each year, approximately 2 million people visit the CN Tower. The CN Tower was built in 1976 by Canadian National (CN) who wanted to demonstrate the strength of Canadian industry by building a tower taller than any other in the world. In 1995, the CN Tower became a public company and ownership of the Tower was transferred to Canada Lands Company, a federal Crown corporation. The construction boom in Toronto in the 1960’s transformed the skyline characterized by relatively low buildings into one dotted with skyscrapers. These new buildings caused serious communication problems. With its microwave receptors at 338 m and 553.33m antenna, the CN Tower swiftly solved the communication problems with room to spare.